One of the coolest things is completing a writing assignment and hearing the words “Excellent job.” The more you write – or do anything – the better you get at it. Your craft becomes second nature and you’re able to do so much in a short time. People always assume I’m so busy, and I am, but “excellence” in repeating my craft keeps me on top of things. Last year, around this time, Tommy Coletti, co-author of “A Journey to the Gallows” (available April 14, 2015) used my services to edit this amazing book. It’s the fictionalized story of American hero Aaron Dwight Stevens who fought for the rights of African Americans during the Harper’s Ferry raid. I’ll be presenting this lecture Wednesday, April 1, 2015, 7 p.m., at the William E. Dermody Library, Carlstadt, New Jersey. 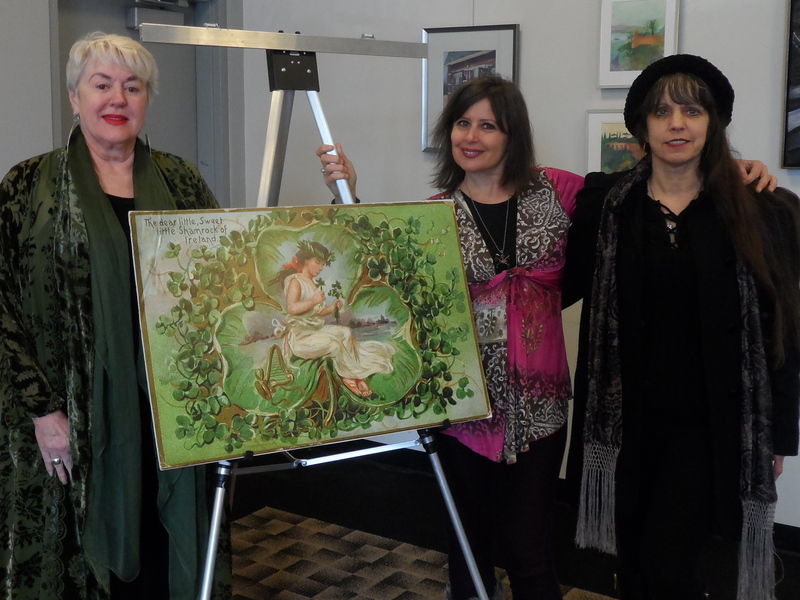 I had a most wonderful time presenting “Luck of the Irish” last month, with thanks to special guest Carol Erickson who sang Irish tunes at some of the events. The libraries and assisted living facilities that hosted “Luck of the Irish” were: Township of Washington Library, Township of Washington, New Jersey; New Providence Library, New Providence New Jersey; Mahwah Public Library, Mahwah, New Jersey; JCC in West Orange, New Jersey; and Hudson View in North Bergen, New Jersey. I’m honored to be returning to the Washington Township Library, Long Valley, New Jersey, on Wednesday, April 8, 2015, 7 p.m., to present this lecture from the “Healthy Foodies” series. Tuesday, April 14, 2015, I’ll be presenting this lecture for the Bridgewater Women’s Club. If your club is interested in a lecture, reduced rates are available! Bridget Briant and I had a wonderful time presenting this program last month at the Wantage Library, Wantage, New Jersey. We apologize for the inconvenience that Berkeley Heights Library cancelled our previously scheduled program on Tuesday, March 31, 2015. I had a blast presenting this lecture again at the Elmwood Park Library. As always, I love to go there, as it’s one of my favorite libraries in New Jersey. I’ll be presenting for the first time at NJ Eastern Star, Bridgewater, on Thursday, April 23, 2015, 3 p.m.